A comprehensive debt relief guide to getting rid of credit card debt in every situation. 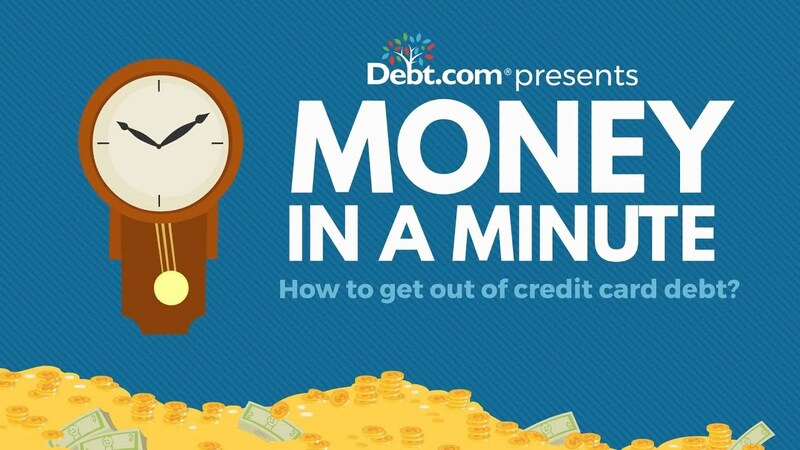 Money in a minute, how to get out of credit card debt? Thankfully, there are many ways to pay off those big balances on your credit cards. If you don’t have enough cash on you, the three most popular ways are to consolidate it, settle it or discharge it. A three have pros and cons, some are obvious, like bankruptcy. 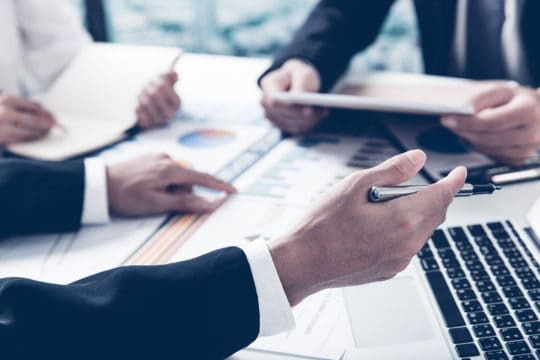 People know, if you declare bankruptcy, you face up to a decade of not getting new loans or very high interest rates or getting a very high interest rate. The same thing can happen with debt settlement, which means your lenders agreed to wipe out your debt for less than you owe. But then, there are consolidation loans and debt management loans might suit you better. How can you tell? Debt.com explains it but we also offer expert advice on the phone, a free debt analysis,that will show you which option is the best for your situation, call us today. There’s no end to the challenges you face when you have high interest rate credit card debt. Minimum payments don’t make a dent and the payments eat up more and more of your budget as your balances increase. But if you want to get rid of debt quickly with the lowest cost, you need to understand how to get out of debt in different situations. This page guides you through different ways to get out of debt, depending on your situation. If you have questions or need help finding the right solution, visit Debt.com’s Credit Crard Debt Solution Center. Which option you use to become debt free depends on your financial situation and goals. We outline the best way to get out of credit card debt for different situations below. The only way to get out of debt without paying anything at all is to prove the debt isn’t yours. Of course, this doesn’t apply to accounts you hold that are still with the original creditors. It only applies to credit card debts that were charged off and sent to collections. It’s pretty common for debt collectors to confuse customers. They try to find the account holder, but may end up hassling someone with a similar name. If you have credit card debt in collections, always make sure the debt is yours to pay. If not, send a cease and desist letter to tell the collector that the debt is not yours. If you’re wondering how to get out of debt fast, you have several options. Making larger payments speeds up debt repayment. However, high interest charges can slow you down. Consolidating debt lowers or eliminates interest charges, so it’s easier to pay it off faster. The fastest solution if you plan to pay it off is to transfer the balance. You get a new credit card that offers 0% APR on balance transfers for an introductory period. If you have excellent credit, you can qualify for a promotion period of 18 months. This gives you over a year to pay off your debt without any interest charges. If you don’t want to pay what you owe and want to get out of debt fast, Chapter 7 bankruptcy is the best option. Chapter 7 typically only takes about six months to complete. By contrast, Chapter 13 bankruptcy can take a few years. All these options may lower your monthly payment requirements. You can even find out by how much before you sign up. With if you take out a personal loan to get out of credit card debt, the monthly payments depend on the term you select. A long term loan offers low monthly payments. Just make sure you don’t make the term too long or you increase your costs. Most debt consolidation loans have terms of 48 to 60 payments. A debt management program is an assisted form of debt consolidation that you enroll in through credit counseling. If you qualify, these programs reduce your total credit card payments by up to 30 to 50%. You can use this option with bad credit and regardless of how much you owe. Finally, you can enroll in a debt settlement program. This usually offers the lowest payments possible. However, you don’t pay back everything you owe, so it can hurt your credit score. In order to generate the funds for the settlement, you set aside a small amount of money each month. If you have extra cash it means you can get rid of credit card debt fast without credit damage. We recommend either paying it off through a strategic debt reduction plan or using a balance transfer. Keep in mind that credit cards don’t have any payment restrictions. There are no early repayment penalties or pre-payment fees. You can make larger payments or even extra payments. If you make an extra payment, it’s completely interest-free. Extra payments are a good option when you have a large sum of cash, like from a tax refund. If your refund amount won’t pay off the balance in-full with one payment, consider transferring the balance. Large volumes of debt a hard to eliminate on your own. Balance transfers usually only work if you owe less than $5,000. Even debt consolidation loans are usually only effective with balances below $30,000. If you owe more than $50,000, then you’ll probably need some help to get out of debt. A debt management program is the best option because it doesn’t damage your credit. Settlement puts you in control of the debt negotiation. Discharge through bankruptcy basically means you ask the courts to solve it for you. If you’ve heard those commercials about getting out of debt “for pennies on the dollar,” they’re talking about settlement. The ads say it’s the “solution the credit card companies don’t want you to know.” That’s reaching a bit, but the solution is legit. Credit card issuers aren’t hiding debt settlement like some kind of secret solution. They don’t want you to settle because they won’t get all their money back. But as long as you’re willing to accept credit score damage, you can use it successfully. And don’t worry! This won’t put you on a credit blacklist. Eventually, once your score recovers you can get traditional credit cards again, even from credit issuers that you settled with previously. Article last modified on April 23, 2019. Published by Debt.com, LLC . Mobile users may also access the AMP Version: How To Get Out Of Credit Card Debt - AMP.